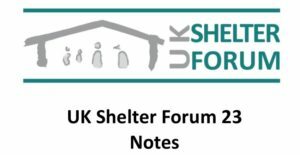 The 23rd UK Shelter Forum was on the 23 November in London, co-hosted by Arup and ShelterBox. This entry was posted in United Kingdom by Dave Shelterbox. Bookmark the permalink.